Jim Green – CTO, Data & Analytics Business Group, Cisco Systems, Presenting ‘Building the Internet of Things”, October 14-16, 2014 • Chicago, Illinois. 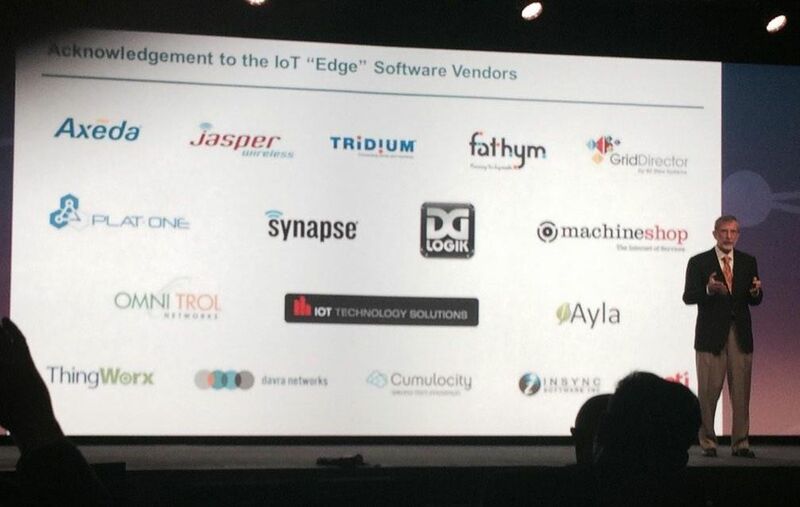 Tridium and DGLogik feature prominently as Edge Software Vendors in IoT Reference Model. The Internet of Things World Forum just presented its new IoT Reference Model, recognizing familiar building automation brands as leading in the category of Edge Computing. What are the important takeaways for commercial buildings automation? ‘Edge Software’ is the name the model gives to any module that has evolved to configure, address and directly process and temporarily store device data. The Tridium Niagara framework, DGLogik graphics visualization software and a number of telemetry provisioning toolsets were recognized during the IoTWF presentation as pioneers in the Edge Software category. The model also specifies a layer of abstraction between such Edgeware and Cloud applications because there is so much variability above and below to cope with. It calls this layer IoT Middleware and counts on it to deliver agility and scalability and eventually interoperability.